Google Analytics provides digital marketers with a wealth of essential data about traffic patterns and conversion rate, and other metrics of website performance. But what good is knowledge without the ability to process it? With these 5 tips, you and your business can avoid making analysis errors, and get the most out of the useful tool that is Google Analytics. 1. Define several conversion goals. Obviously, the ultimate goal of your commercial website is to increase sales. The conversion rate metric on Google Analytics measures what percentage of site visits result in a certain desired action. Typically, this desired action is the terminal action, a purchase of some sort. While statistics about the terminal action are useful, they don’t always tell the whole story. Google Analytics accounts with “edit permission rights” are allowed to set up various conversion goals. If you’re only measuring one kind of conversion, you’re missing out on valuable information. For this reason, you should define several conversion goals. If you have conversion rate statistics about several stops along the sales funnel, you will have a fuller picture of your users’ behavior, and be able to implement your marketing strategy more intelligently. KissMetrics refers to two types of conversion goals, “micro goals” and “macro goals.” Micro goals are indirect objectives, stops along the sales funnel that eventually lead to the macro goal, the ultimate objective. 2. Numbers don’t lie, but take them with a grain of salt. Traffic numbers will go up and down. If you’re a digital marketing firm, dips in traffic volume will make your clients anxious. But sometimes, marketers or web developers are not entirely to blame for these dips. Factors including seasonal changes in customer tendencies and market conditions usually come into play. For instance, if website numbers for an outdoor water park plummet in the month of December, this might not be cause for huge alarm. That is not to say that marketers should be complacent and blame downwards trend entirely on external forces. However, it is wise to always keep in mind all possible factors. Remember that correlation is not always causation. If you need further convincing that causation is not the same as correlation, call up your high school stats teacher. If you’re still not convinced and need an example, take this one: Google Analytics tells you that conversion rates are very low for Internet Explorer users. An intuitive conclusion might be that the site is faulty if accessed through Internet Explorer. However, this is not necessarily true. For instance, maybe Internet Explorer users tend to be older or have lower income. Maybe age or income level is the causal factor directly behind the low conversion rate, and Internet Explorer is merely an apparent cause. Perhaps Internet Explorer is actually to blame, but this conclusion would have to be further justified. The moral of the story is that Google Analytics provides useful data, but it requires some analysis. When using Google Analytics, be like a scientist; dig deeper and avoid rushing to conclusions. To avoid attribution errors, like the Internet Explorer scenario above, analysts need to consider all possible factors that might affect website metrics. With the annotations feature on Google Analytics, factors that otherwise would not show up in a website’s analytics report, such as offline campaigns, competitor promotions, other significant current events, can be added. This function allows for more informed analysis. For instance, a third party ticket vendor might experience lower traffic and conversion rates after their competitor lowers prices. Without the annotations feature, analysts might jump to the conclusion that the website needs to be drastically changed, when really it is market conditions that are to blame. The annotation feature offers a way to organize exogenous factors, allowing users to time-stamp them, and incorporate them into the analysis. Ignoring these exogenous factors can lead to erroneous analysis. Not all hits come from organic Google searches. Add depth to your analysis by comparing numbers between traffic sources (i.e. Facebook, Twitter, links from elsewhere.) If there are huge discrepancies between these sources, you can figure out areas of improvement for your digital strategy. If organic traffic numbers are low, SEO probably needs work. If Facebook and Twitter referrals are low, then social media presence probably needs to be ramped up. These statistics can help marketers forecast the return on investment for AdWords, and point out shortcomings of the content. It’s important to remember that Google is always updating its algorithm. This means that periodic changes in the effectiveness of your website’s SEO should be expected. 5. Remember: offline marketing is not dead. People look up from their laptops and smartphones every now and then. (This was true until the release of Pokemon Go, at least.) What this means is that, even though offline marketing is losing relevance, it still lives. 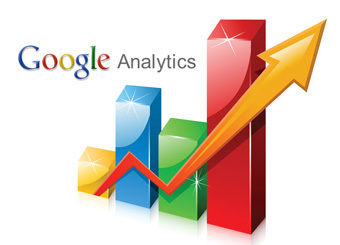 Google Analytics is helpful for your digital strategies, as well as your offline campaigns. Google Analytics keeps track of demographical statistics, including information about visitors’ age, gender, location, and even the types of browsers and devices they use. This information allows marketers to construct a more accurate customer persona. Understanding the consumer base is central to all aspects of marketing, regardless of medium. Interpreting data to construct the customer persona is just another great way to use Google Analytics. (In this article, I explained why certain techniques and strategies are essential. For more detailed instructions on how to implement them, follow this link: https://blog.kissmetrics.com/15-google-analytics-tips/).